Family Voices of Alabama is the state affiliate of Family Voices, a national grassroots network of families, friends, and professional partners brought together by a common concern for children and youth with special health care needs. It is home to Alabama's Family to Family Health Information Center which is a family-staffed organization that provides support, information, resources and training to children and youth with special health care needs and the professionals who serve them. Children's strives to provide our community and beyond with a broad array of choices in health care services. The following provides easy access to information on our Centers of Excellence and Medical Departments. The ABLE Act provides individuals with disabilities a host of benefits to start saving for the future. Easter Seals of Central Alabama is committed to changing the way the world defines and views disability by making profound, positive differences in people’s lives every day. Medicaid is a federal and state program that provides medical assistance to low income people and individuals with disabilities. SACAP tries to improve communication between you, your counselor and others involved in your rehabilitation program. SACAP may also provide additional information regarding resources in the community. The Alabama Head Injury Foundation is a non-profit organization that provide help and assistance to the patients and families affected by brain injuries. Early diagnosis reduces morbidity, premature death, intellectual disability, and other developmental disabilities. 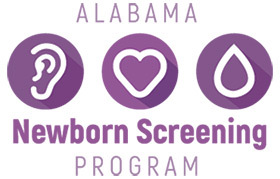 This program works in partnership with pediatric specialists throughout the state to ensure all babies identified with abnormal results receive appropriate follow-up. 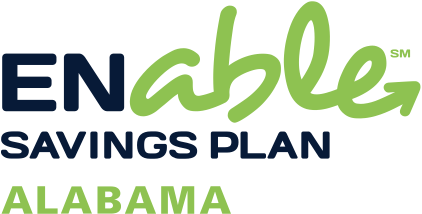 The Alabama Parent Education Center (APEC) is a non-profit organized by parents, educators, and professionals serving families formed to provide parents with training and information to help them become meaningful participants in their children’s education. The primary mission of UCP of Mobile is to promote the independence, productivity and full citizenship of people with cerebral palsy and other disabilities. We want all children with disabilities and special health care needs to grow up in a family who supports them to lead full and happy lives in their communities. Emergencies can happen at a moment's notice. Mobility, hearing, learning, or seeing disabilities can create specific needs that individuals need to address to be able to respond to an emergency. The list contains links for associations, councils, centers, and societies. It also has links for conferences, financial aid and internships, and helpful websites, articles, and research. Blogs and Facebook pages are also on the list. Parent to Parent of Georgia serves as the Parent Technical Assistance Center (PTAC) for Parent Training and Information Centers (PTIs) and Community Parent Resource Centers (CPRCs) in the Southeast Region (Region 3), which includes 8 states and 2 U.S. territories. Parent to Parent of Georgia is part of the Parent Technical Assistance Center Network, working through a cooperative agreement with the U.S. Department of Education Office of Special Education Programs. The mission of the SBA of AL is to promote the prevention of Spina Bifida and to enhance the lives of all affected. From the beginning, our organization and its founders have been comprised of families affected by Spina Bifida and medical professionals who have dedicated their lives to treating and preventing this birth defect. To find additional disability information, we recommend using publicly available search engines and visiting the following links.